I was really thrilled to visit this impressive monolith. I had been taking a few shots from the main road when the landowners kindly pulled up next to me and gave me permission to enter the field. The gate is about 200 metres down the driveway to the east of the megalith. 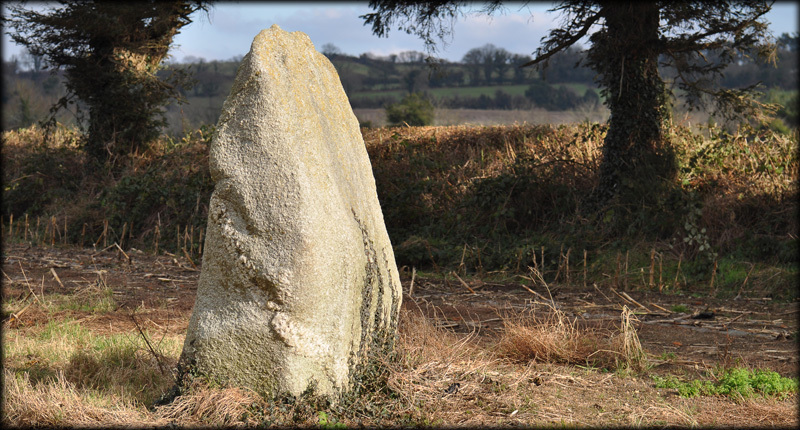 Standing at 1.9 metres high and 1.25 metres wide, the stone is aligned east-west. The top image was taken from the west and if you look closely you can see a quartzite band that runs diagonally through the stone. Like a lot of standing stones the profile of the stone changes dramatically as you move around it. 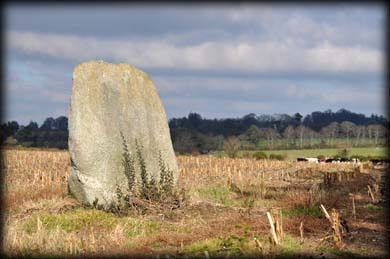 Less than five minutes west of here is the huge bullaun stone at Ardattin. Situated: From Tullow head south on the N81 for about 5.6 kilometres. Then turn left for Ardattin. 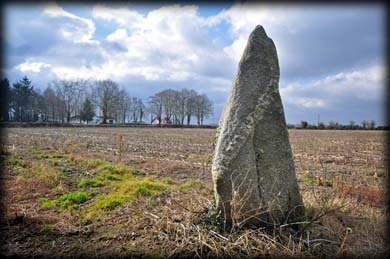 The standing stone is in a field to your left 2.7 metres down this road. Discovery Map 61: S 8795 6757. Last visit Feb 2015.